To expand the world of possibilities for aging. The Centers for Medicare and Medicaid Services has mandated the implementation of trauma-informed care for nursing homes that participate with Medicare and Medicaid. Resilience for All Ages is an initiative of LeadingAge Maryland dedicated to equipping individuals and organizations to become more trauma-informed and to advance trauma-informed work with older adults. Resources are available to LeadingAge members for free at LeadingAge National, here. Non-members may purchase the resources here. LeadingAge Maryland is actively working on many events and educational opportunities to help our members learn, connect and expand possibilities for aging. Thank you to all those who submitted proposals. All speakers have been notified. 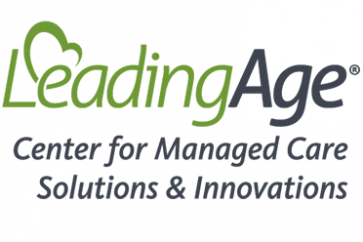 The LeadingAge DC, Delaware, Maryland, and Virginia Leadership Academy is a year-long leadership program designed to enhance the leadership skills of nonprofit aging services leaders in the DC, Delaware, Maryland, and Virginia region. Apply here. 2018 LeadingAge Maryland/ Ziegler Finance and Strategy Symposium took place on November 29, 2018 at the new Asbury Support and Collaboration Center in Frederick, MD. Thanks to all the Nonprofit and business members who attended the the LeadingAge DC, Delaware, Maryland reception on Monday, October 29 in Philadelphia. We had a terrific turnout. LeadingAge Maryland, in partnership with LeadingAge national policy staff, held its first Town Hall at Broadmead on October 11th. Using a world café approach, participants shared their experiences and perspectives on legislative and regulatory issues at the federal and state levels. Insights were rich and will help to shape advocacy initiatives. On September 19, LeadingAge Maryland, LeadingAge Virginia, and LeadingAge North Carolina hosted our 2nd Annual Mid-Atlantic Marketing and Communications. More than 45 marketing and communications professionals from across the east coast gathered for a day of networking and learning. Topics included essential digital marketing tools and techniques, using technology throughout the prospect to resident process, and how the values of current and upcoming generations of older adults will shape what consumers look for in senior living. Special thanks to our speakers from Love & Company, Varsity, Creating Results, Integrace, the Forest at Duke, and Westminster Canterbury Richmond. Welcome to the fall 2018 Emerging Leaders! On September 12, we welcomed our fall 2018 Emerging Leaders for the first of their four days together. This diverse group of professionals comes from a wide range of LeadingAge Maryland member organizations, and represents many different departments and areas of expertise. Our spring 2019 cohort is filling fast. To learn more or apply, please click here. 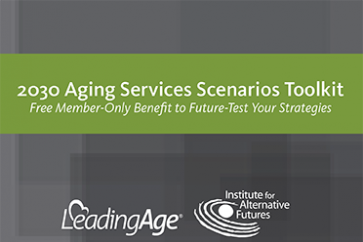 The Institute for Alternative Futures developed the 2030 Aging Services Scenarios in partnership with LeadingAge to explore the future need for and delivery of aging services in the context of expectable, challenging and visionary futures. The Center for Managed Care Solutions & Innovations offers members a one-stop shop filled with the tools, resources, and education you need to succeed in managed care, integrated services, and other alternative payment models.